Even in the realm of superheroes there is love. And love between meta-humans, aliens, spiritual avatars of elemental forces, is still love. It just takes on different dimensions (sometimes quite literally), when it takes us to unexpected places. In these strange relationships, love is a universal concept manifesting itself in completely understandable ways that knows no boundaries, cosmic or otherwise. Even though superheroes aren’t limited to the regular constraints of human existence, they are still affected by the nature of these relationships in relatable ways. Entertaining and enlightening, it’s both fun and thought provoking to see these superhero relationships unfold. Ever see a couple in a restaurant that makes you wonder how they ever got together? Love sees the unlikeliest of pairings: Billy Joel and Christie Binkley, Lyle Lovett and Julia Roberts, or Sandra Bullock and Jesse James. You can’t get more of an odd couple than this. In order for these two to find romance, there had to be a real connection on the spiritual level because the idea that Abigail could be genuinely attracted to Alec physically is unlikely. There were some pretty funky moments when the two did connect physically. In fact, there was one incident (Swamp Thing #34 – “Rite of Spring”) that involved Holland growing a hallucinogenic tuber from his body. Abigail ingests it, allowing their bodies and spirits to experience each other’s perceptions and … well, some degree of blissful consummation is achieved. You don’t usually grow things on your body for the purposes of allowing your partner to eat and trip on them, but that’s a groovy kind of love for you. 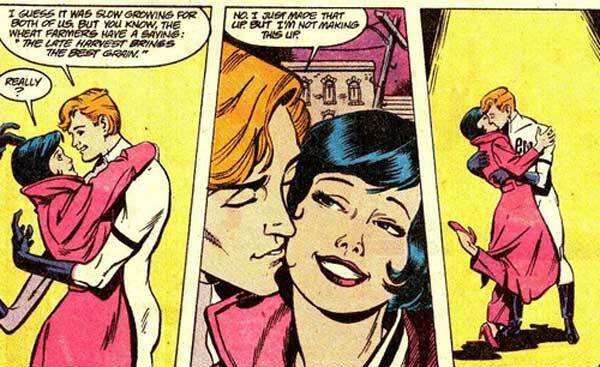 This romance began in Teen Titans Issue #2 (Dec. 1980), drawn by George Perez and conceived by Marv Wolfman. 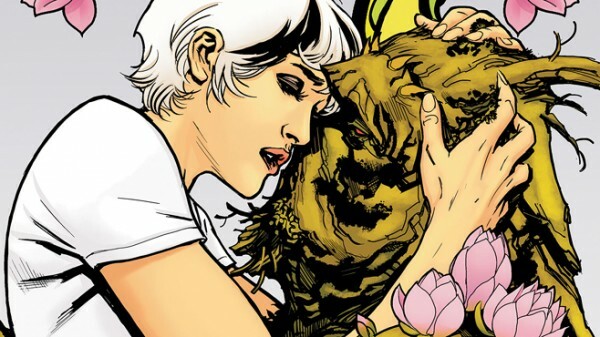 The first meeting between these two overly-hormonal teens involved Nightwing (then Robin, the Boy Wonder) flat on his back, and this golden-skinned alien beauty sucking on his face like it was a scuba mouthpiece. Later it was revealed that she was absorbing his language through physical contact, and this was the most enjoyable way to do it. Of course, reading this as a 13-year-old locked in the throes of puberty, my thought was: does that really happen? Well, yeah, it does. Rarely, to be sure, but love at first sight does happen and it’s pretty cool when it does. If you’re not familiar with The Inhumans, they’re not a superhero group. They’re a secret race of Kree-engineered genetic mutates who live apart from humanity. 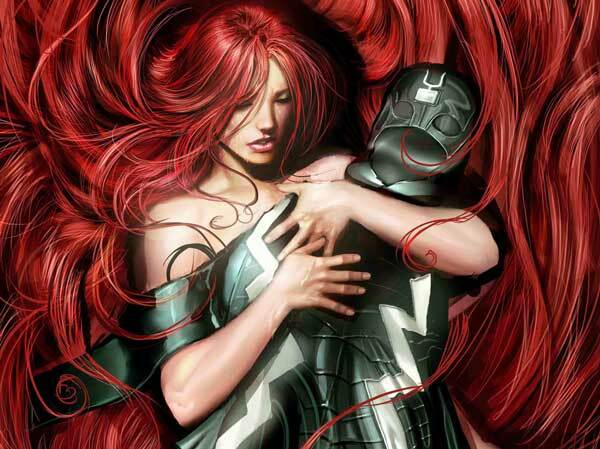 Black Bolt and Medusa are the King and Queen of these people, and represent a type of love that is second only to a sense of duty. In Realm of Kings Inhumans #1, appropriately titled “Duty Calls”, Black Bolt is presumed dead yet Medusa cannot afford to mourn. Her face is an impassive mask of control as she strives to assert the Inhumans as a cosmic dynastic power that has newly taken control over the Kree Empire. They are the royal family of Attilan, and no one understands this more than Medusa in Black Bolt’s absence. To honour his love, she must not allow herself the luxury of thinking about him before she thinks about the state of her people. It’s a powerful sense of duty that that forces you to put the most important person in your life on a lower shelf. But, the person wouldn’t blame you, because that is what makes you worthy of his or her love. I don’t want to say that this relationship is the superhero equivalent of “Married… With Children”, but there is a strong theme of domesticity between episodes of protecting the Earth from Annihilus of the Negative Zone or Reed inventing some sort of quantum particle shuffler. All Sue seems to want is a little attention. Reed is the stereotypical man who marries and has kids yet still wants the same degree of freedom he had before. This is why men have mid-life crises and buy Porsches. In Reed’s case, he locks himself in the lab for a week and develops a new form of dimensional travel. It’s not like Reed doesn’t love his wife; it’s just that he has a case of mixed-up priorities. This doesn’t diminish his love, but every now and then he gets a reminder of what is really important. Every teenage comic reader loved Kitty Pryde. Joining the X-Men in Issue #129, Kitty was a precocious 13-year-old genius with mutant super powers. In the early 1980s, she was the epitome of every nerd’s dream: a computer-programming cute super-hero girl who knew martial arts. Then she becomes romantically attracted to the X-Men’s resident steel-bound muscle, Piotr Rasputin, aka Colossus. In an instant, a teen-age crush is realized when he reciprocates the attraction, much to the dismay of the aforementioned audience of geek boys everywhere. This is a crush – pure and simple. It’s the purest, most innocent sort of romance, and definitely the sweetest. Even when it’s not reciprocated, who hasn’t had a moment of nostalgia in remembering that first crush you had back in high school? In the world of comics, even superheroes aren’t resistant to the overwhelming power of a crush. This is a pretty odd one. 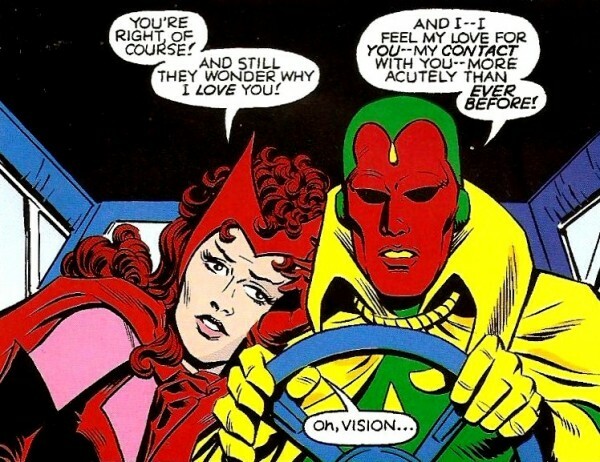 The Vision’s artificial intelligence was patterned after the brain patterns of Wonder Man who had a bit of a thing for the Scarlet Witch himself back in the day. So perhaps it’s a case of residual brain patterns influencing the coupling but the two fall in love. The Scarlet Witch’s brother, Quicksilver, doesn’t like the idea of his sister together with a robot, but family is always the hardest to convince when you enter into an unconventional relationship. There are couples like this in the real world. People find love in the strangest places. From the very beginning, Peter Parker was destined to find love with the girl next door. Why? Because his doting Aunt May not only had an idea of what was good for her nephew, but also because that’s the type of guy that Peter Parker is: decent, wholesome, and deserving of a girl who’s just as good as him. Conventional, small-town, and not very glamorous, this is the type of love that you find in both high school sweethearts and old, senior couples who have been together for fifty years. Ever since the first reveal of M.J. in Amazing Spider-Man #42 back in 1966, when Mary Jane Watson uttered those unforgettable words: “Face it tiger, you just hit the jackpot!”, this is the type of girl-next-door love that everyone wants. You ever have one of these suddenly burn their way back into your life? You haven’t seen the person in ages, but at first sight, the memory of the time you spent together floods your brain, making you forget why you split up in the first place. That’s Matt Murdock and Elektra. She first appeared in Daredevil #168 as a professional bounty hunter, and as a previous love interest of college student, Matt Murdock. After the death of Elektra’s father, she leaves him only to blast back into his life as she interferes with his attempt to catch a thief who can clear an innocent man’s name. Elektra attempts to bring in the thief for the bounty on his head. In doing so, she knocks Daredevil out from behind. As he fades into unconsciousness, Murdock recognizes Elektra’s voice. That releases the floodgates of memories, and we see the love that the two of them shared. Frank Miller originally created Elektra to be a one-shot character, but the depth of Matt Murdock’s love for her could not be so easily dismissed. Readers felt that way as well and she appeared every so often until her death in Daredevil #181. Though she was never meant to come back, about a decade later, Elektra returned. She was fated to be that perpetual old flame in Daredevil’s life. Elektra once left because she could not stomach Murdock’s desire to work within the system that killed her father. When she returns, all he can do is remember why he loved her, and leave her be without bringing her to justice. Powerful stuff to make a crime fighter commit a crime of his own. Out of all the superhero romances I’ve mentioned, this one is probably the most poignant and the best example. Before the DC reboot, one of the most influential events to occur to the DC Universe was 52. Superman, Wonder Woman, and Batman disappeared from the world for a year in order to reconcile themselves with the events. Black Adam attained and lost a nation, and his family. 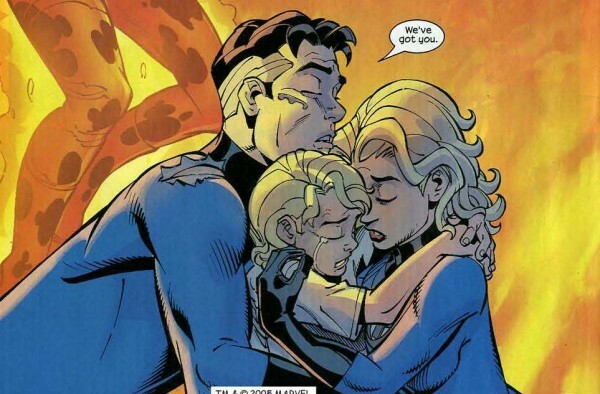 Superboy died to save the Earth. The Question died. The Secret Society ravaged Opal City, and Sue Dibney, the Elongated Man’s wife, was killed. Sue Dibney was more than just The Elongated Man’s dependent wife or a mere story device. She was his partner throughout all his adventures as both a solo super hero and during his involvement with the Justice League. When she is killed, all Ralph wants to do is put a bullet through his mouth. Can you blame him? The most important person in his life is dead. He’s despondent, depressed, but he is also a detective. He senses something isn’t right. This sense leads Ralph to discover clues and uncover a mystery that centres on his wife’s death. It’s his wife’s memory that propels him forward through grief, loss, and even insanity. Ralph endures loss, sadness, guilt, insanity, and he even faces Hell itself to return to his wife. I can’t think of anything more telling or sacrificial. That’s dedication. What do you do when your loved one is in jeopardy? When Cyclops and the rest of the X-Men fought the Shi’ar Imperial Guard for Jean Grey’s life, nothing else that mattered. Scott Summers led his team against impossible odds for the right to save her life, and prevent her from transforming into Dark Phoenix again. Even though she had just destroyed an entire star system and was sentenced to death by Empress Lilandra in Uncanny X-Men #137, nothing else mattered. 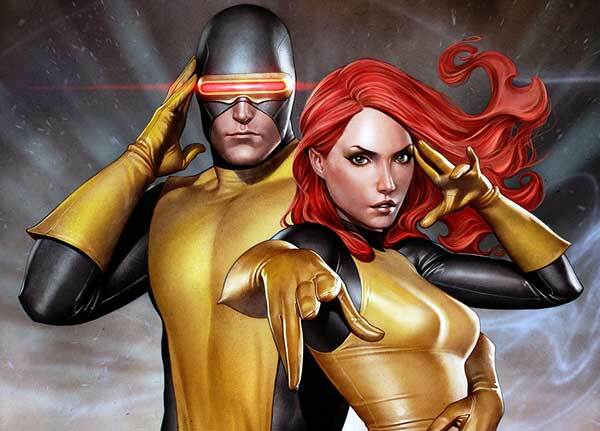 Cyclops was willing to risk the fate of untold billions of lives in other solar systems and the lives of his teammates so that Jean could live. It was a no-win scenario. The Imperial Guard were too numerous and too experienced for the X-Men to win. Cyclops knew this, but he would try anything. When Jean eventually manifested as Dark Phoenix, she was able to tap into the love she had for Scott and managed to destroy herself. It’s not only the best story that ever came out of Chris Claremont’s head, but also an example of love rising above everything else. It begs the question, what would you do for your loved one? Would you risk a galaxy? Risk the lives of your friends? Sacrifice yourself if it meant that the other person would live? Yeah, you would. Because when you truly love someone, you would do anything to ensure that person would continue. There are some pretty extreme situations presented here. The world of four-colour comics may seem overly dramatic or exaggerated, but the more extreme the story, the more carefully illustrated the type of love. In these situations, we can see the humanity of love in the meta-humanity of the characters. After all, love is probably the greatest super power of them all. Happy Valentine’s Day, true believer.